CLICK HERE TO FIND OUT MORE!!!! Bookings Now Being Taken !!!! 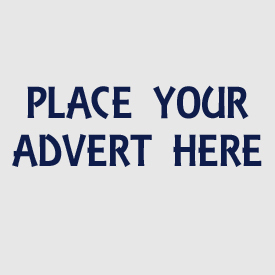 CLICK HERE TO FIND OUT MOREWell Advertised, Organised And Well Attended Events With A Heart And Soul. Our Team Care, We Care About Our Exhibitors And Our Shows. CLICK HERE TO FIND OUT MOREIntroducing N E W M A K E R S, Offering new business start ups a platform to introduce our audience to their products. 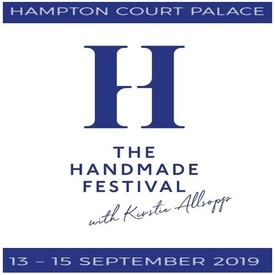 Limited number of spaces available and the shortlist will be picked by Kirstie Allsopp herself! 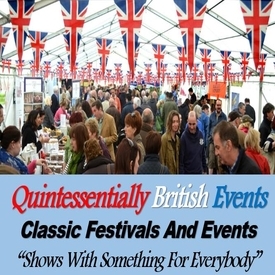 CLICK HERE TO FIND OUT MOREThe Biggest Craft Events Of The Year! Twice Runner Up Of Best Craft Show. 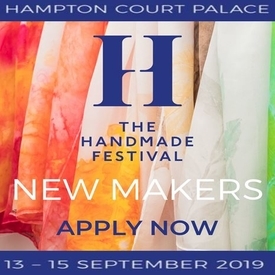 CLICK HERE TO FIND OUT MOREHere at The Handmade Fair, we have been working hard to bring you something exciting for 2019: Introducing The Handmade Festival! Check out the brand new website and sign up to our newsletter for the latest news! CLICK HERE TO FIND OUT MOREEveryday Somewhere In Hampshire Or Dorset We Bring You A Classic, Street Market With A Twist - Bijou, Taste Of The South, Traditional, A Feast Of Street Foods. 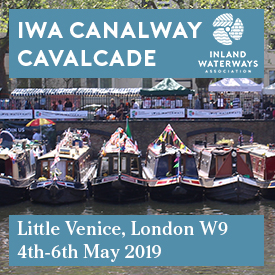 Come & Join Us For A Great Day Out! 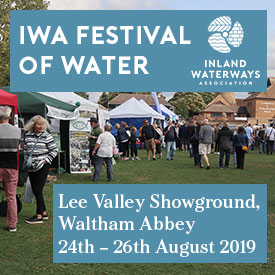 CLICK HERE TO FIND OUT MORECome And Trade At Our River Lee Waterside Festival. 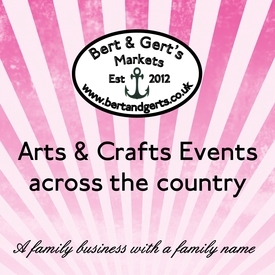 150 Boats Plus Craft, Gift And Food Stalls. Get A Traders Pack Now. 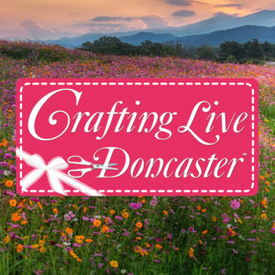 CLICK HERE TO FIND OUT MOREStephanie Weightman's award winning Crafting Live show is coming back to Doncaster and bringing a whole host of celebrity crafters. The show itself is open Saturday 13 and Sunday 14 July, and is open 10am-5pm on Saturday and 10am-4pm on Sunday. We hold regular weekend & five day upholstery courses in our lovely new Cornish studio in Falmouth teaching traditional & modern upholstery plus wood restoration. Amber Noir & Ginger Lily scented candle.. Handmade Wooden Military Man or Woman.. Decorative Hanging Wicker Heart With..
Decoupage Cupcake Wall Hook on Recycled..
Pirate Tea Pot,Shipwreck Treasure Inspired.. Handmade Nappy Stacker & Cushion Peter..
Christmas Cards With Cross Stitch Tree..
925 Solid Sterling Silver Celtic Triquetra..
Abstract Painting in Grey, Yellow &.. Seller: KOKO & KOKO Designs..
20 grams Homegrown Curry Leaves (Dried.. Seller: Back In The Day.. Seller: Cute as a Button.. Cute as a Button Earrings ~ Green Sparkle..
Handcrafted Paper Flower Wedding Bridal..
Washi Tape Glitter 15mm X 5mtrs - Self.. Traditional granny square baby blanket.. Handmade White Jeans and Blue Floral..
Floral Painting on Recycled Scaffold..
Hedgehogs - Multi - LAMPSHADE 30cm..
Lighthouse Battered By Waves Print.. Handmade Adjustable Jasper Venus Ring..
Wall Hanging Family Surname Sign/Plaque.. Dried Lavender with Vase on Recycled..
Countdown Blocks 'till we are Mummy..
Baby blanket in Turquoise and white.. Seller: Rag Rings and Other..
Daddy One Day My Prince Will Come Plaque.. Felt Glue 115ml made by Beacon Adhesives.. Unfortunately we have no match for your search at present but please try again soon as we are constantly adding new events. 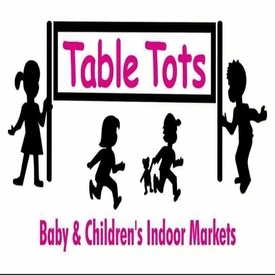 If you have a moment you may wish to view 'The Marketplace' for thousands of unique craft and gift ideas.